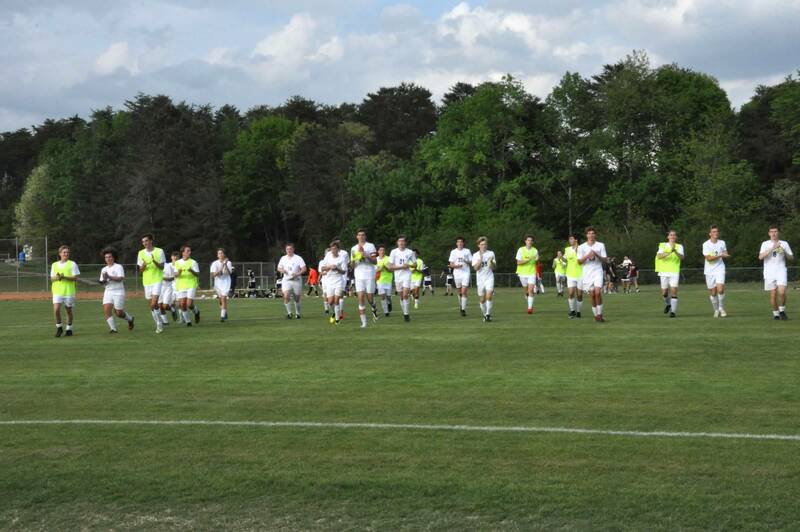 This Saturday, April 27th, both our varsity soccer teams will begin their post season by playing in the GICAA state quarterfinals! With their exciting win over Horizon Christian last week, our boys have home advantage for their game against Rock Springs Christian Academy ~ kick off at 6 pm. The girls will be traveling to LaGrange to play against Lafayette Christian beginning at 2 pm. Travel if you can to support our Lady Lions and then join us at WCA to take full advantage of our home field. Go Lions!! The WCA Middle School Chorus and Upper School Chapel Band are collaberating to bring you another night of worship this Friday, April 26th. This concert on the lawn is a community event so mark your calendars and invite your friends and family to join us for this outstanding event. Last year's performance presented the gospel experience from creation to resurrection. This year's concert will take us from the resurrection to present day with musical expressions of His grace and love from countless generations. The concert will be held on the lawn of WCA's soccer field. The field opens at 6:30 pm with the concert beginning at dusk. You are invited to bring blankets, chairs, picnic baskets and lawn games to make this a fun Friday evening with your family. We look forward to seeing you there for this amazing journey. You may now place orders for the last month of the school year! The deadline for placing orders is Monday, April 29th, at midnight. Please know that there are several exceptions during the month of May - early release days, testing, etc. - where lunches have been blocked. As always, to place an order, please go to Boonli.com and log in to your account. If you have not placed an order before, you will need to create an account. After clicking the “register” link, enter the school code WCA319 and follow the prompts to complete your registration. You will need to complete a profile for each student designating them as either upper school or lower school to ensure that you have access to the correct menu items. If you have any questions, please contact Tami Butts, tbutts@wcalions.org. This Saturday, April 27th, you will have the opportunity to receive a FREE athletic physical for your student athlete(s)! Athens Piedmont will be providing free physicals for all WCA students from 8:00-8:30 am. This is a great opportunity to take care of this now so you don't have to worry about it next year. A physical is good for one calendar year and is required for all athletes. This event has potential to be a little chaotic but fortunately, our school has an early start time. Please read all information carefully so that you know what to expect and things can go smoothly for you. The athlete WILL NOT receive a medical exam if they arrive without a complete health history or guardian signatures. Athletes CANNOT complete the form without a guardian present to sign. A blank form is attached below. On the day of exam: PAC is Pod C. Signs for Pod C are GREEN. Katie Terrell is the Pod C manager, and she will meet you at drop off and direct you through the exam. Drop Off Directions: Enter from Jennings Mill Rd and drop to the Rehab Services Entrance. Look for Pod C drop off signs in Green. Parent Parking Directions: After drop, navigate to the Back or the NORTH SIDE for parking. The students will exit on the North Side and traverse to student pick up locations. Exit Directions: Follow the exit signs from the Pod to the North Entrance. You're the best. We think so and your child(ren) know so! In honor of you, it's some of your favorite things all together in one place ~ your child(ren), yummy muffins, delicious coffee and time to fellowship! Muffins with Mom is an annual WCA Lower School event (preK - 5th) to honor our mothers for Mother's Day. This year's event will be held on Friday, May 10th from 7:45 until 8:15 am. Please join us for this special event. To print the registration form, follow the link below. No prior experience is needed; this is a great way to be introduced to the sport! The camp is open to all current 3rd-5th grade girls and will be held in the gym on Monday, April 29th, and Tuesday, April 30th. We'll get started at 2:45 pm and wrap up at 4:15 pm on both days. The total cost of the camp is $40 which will be charged to your family's FACTS account. Make that a 50's twist! The classic Old Testament story of Joseph is retold in the iconic times and music of the 1950's in this year's spring musical, Not Your Average Joe. It's surfer beats, leather jackets and surfboards but the gospel truth remains the same - trust the Lord your God with all your heart. Our students are so excited to share this wonderful story with each of you. The performance will be held on Thursday, May 2nd, beginning at 6:30 pm. Kindergarten students are asked to be in their designated classroom by 6:10 pm dressed up in their outfits and ready to perform first. 1st - 5th grade students should be in their designated classroom by 6:15 pm, dressed in their 1950's attire and costumes! We will also have DVD's of the musical available for purchase on the night of the performance. The cost will be $10 each and payment must be made at the time orders are placed that evening. Questions? Please contact Mary Claire Wills, mwills@wcalions.org. Field Day 2019 is coming up next Friday, May 3rd. This annual day of fun in the sun pits mulit-grade teams of WCA students against each other in games of physical and mental mastery. Teams will be posted on Wednesday, May 1st, in the gymnasium and team t-shirts will be distributed on Thursday, May 2nd. As alwyas, use your imagination and show your team spirit by dressing and accessorizing in your team's color! Questions? Please contact Elizabeth Clement, eclement@wcalions.org. It takes a lot of people power to make WCA's Field Day a success for all, and you are needed! If you can volunteer to work with a team and be a part of this year's Field Day, please contact Elizabeth Clement, ehclement@gmail.com There are many jobs that need to be filled (we stll need 20 volunteers) and the earlier you volunteer, the more likely you are to get the job you'd like best! Thank you in advance for your support of this memorable day in the life of our student body! As we go through our days, please remember to keep the following WCA families in your prayers. Also, please email Tami Butts (tbutts@wcalions.org) with updated and/or new prayer requests. It is an honor to pray for each other. Please be in prayer for Konda Johnson, her husband Brian and their children ( Hollan 12th and Grace 7th). In January , small nodules were removed from her lungs that were determined to be the same type of cancer removed from her liver in 2015. She will receive treatments every other week for two months. The first few days after receiving a treatment are being pretty tough for her and steroids are a part of her regimen which is also a challenge. Please pray for strength of body and spirits for Konda and her family during this season of battling disease while celebrating their senior, Hollan. Please continue to pray for our art teacher, Jackie Kirsche, as she walks through her cancer journey. Her treatments were very successful. The tumor markers in Jackie's blood work are some of the lowest they’ve ever been and she will not begin any conventional therapy until active changes are seen in tumor markers, which will be checked monthly. Anderson Krieger (9th grade) and his family, as he continues the maintenance phase of his cancer treatment. For the most recent updates and specific prayer needs, please follow Sally on social media. Brent Weatherly and his family as he battles cancer. You can follow his journey and receive specific prayer requests. http://dbw26.wordpress.com. Prayer requests are included here at the request, or with the permission of the family. Finish school on Wednesday, cheer camp on Thursday! Camp participants will learn cheers, dances, jumps and stunts. Register by May 16th to guarantee a t-shirt!